-being on holidays. I adore having days filled with no agenda, and being able to catch up on so many tasks that have been hanging over my head for months. -My new jewellery from Lost at Sea Accessories. 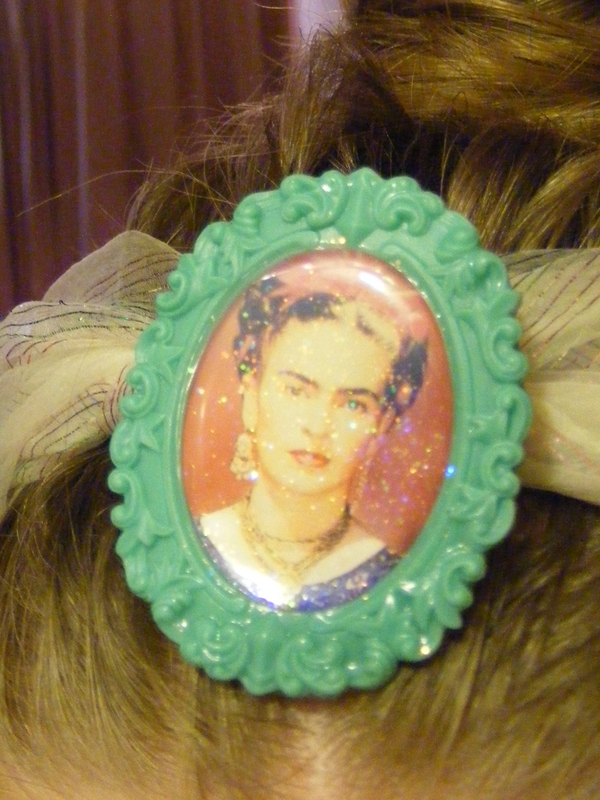 I showed you my Frida brooch already. 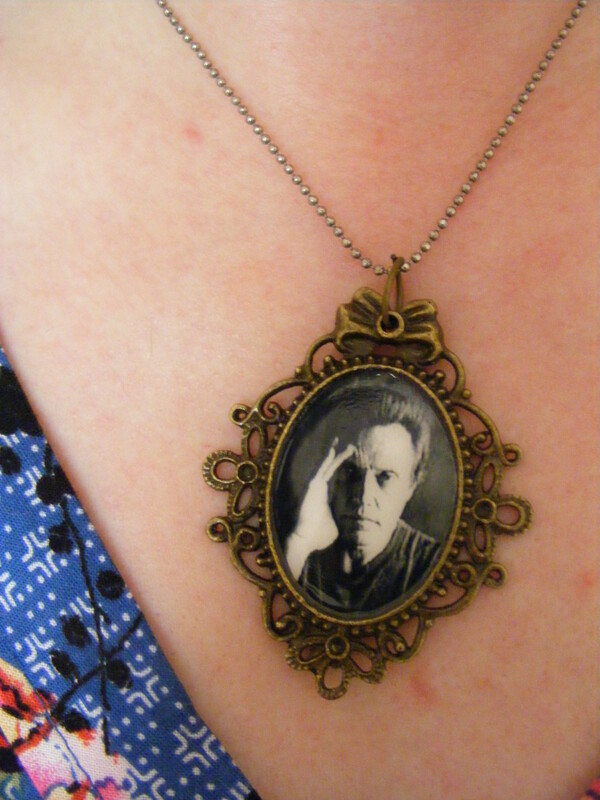 I also got this fantastic Christopher Walken cameo necklace. I am a serious Walken fan, so having my own cameo with his face on it is fabulous. I’ve been wearing both of these pieces practically non-stop. – Taking Jelly to my parents house to enjoy the air conditioner. Poor Miss Jelly isn’t coping with the hot weather. On Thursday night, she was getting really distressed and overheated and I was so worried about her. So Mum came over and we popped her in the carrier and took her for a ride to my parent’s house. Jelly loved it. She calmed down as soon as she got into the cool air and had a great time frolicking with my Mum’s dog, Brodie. We’ve been making it a regular thing now. (Ringo hasn’t been, because he freaks out when I put him in the carrier. Also, he seems to be managing the heat a lot better than Jelly is). – Cool breezes on a sweaty back. – Cool baths with a good book. 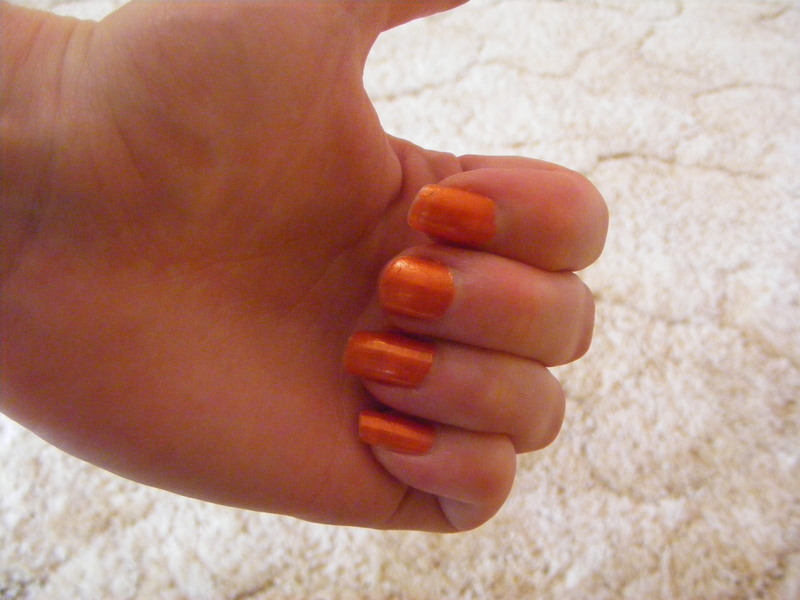 -Bright orange nail polish. So summery! – Dry ginger ale with loads of ice. – Taking my book outside to read on the lawn for an hour each night. – Writing rapidly in my journal, filling the pages with thoughts, feelings and ideas. – Celebrating the fact that one of my oldest friends is getting married on the weekend! I’m so happy for her. She is one of the kindest, sweetest people I know and I wish her and her almost-husband all the best. – Joking around with my Dad. – My Mum, who called into my house while I was at work last week to check on the cats. She gave Jelly a sponge-bath with some cool water, put the fans on for them and put ice into their drinking water. Then she mopped my floor and did my dishes. (My mother is essentially Monica Geller from Friends). Next How yoga has helped with my depression. Awww, thank you so much. I love you too! Ha, your Mum sounds awesome! That was so nice for her to do! I also love Christopher Walken, he’s amazing! My mum is a pretty fantastic person. I don’t know many people who would spontaneously come over to look after my cats and clean.